Elydia is a young Mage who believes in her freedom and… in love at first sight. Four love stories, four different men, four trials of the heart. Until one day Magic – that she never loved – will reward her with the greatest gift: a son, whose destiny is written in the pages of Time. 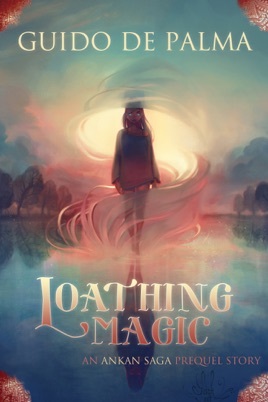 “Loathing Magic” is the prequel story to Ankan Saga.